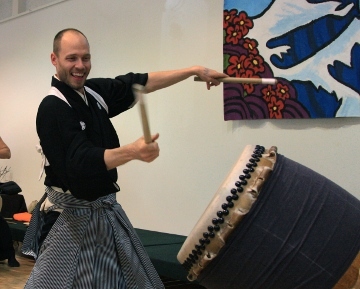 Allowing for full-body power and graceful movement, naname (slant-drum) is one of the taiko world's most dynamic and exciting forms. Naname Form: Fundamental Dexterity focuses on the essential elements of form, including foot position, body axis, and arm position, taught by experienced performers. Join this session in preparation for the Bachi BBQ recital in May!